5. If you have any Shop your way rewards points use them to pay for this and you will be nothing out of pocket!! 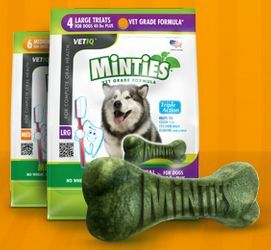 If you do not have points you will pay the $4.99, however once your order is picked up you will see your Top Cash Back Account will have a Pending Credit of $5.50!! If you are not a Shop Your Way Rewards Member BE SURE TO JOIN!! They give out Bonus Points all the time. I just grabbed mine for FREE with bonus points and am getting paid back $5.50 so this will be a money maker for me. ONE LAST THING!! BE SURE AND VERIFY YOUR EMAIL WHEN YOU GET THE VERIFICATION EMAIL!! 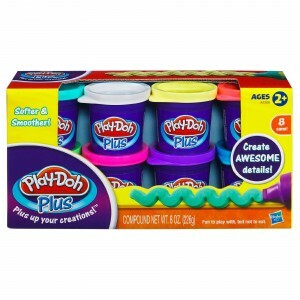 Visit Kmart through TopCashback, purchase a Play-Doh Plus 8-pack priced at $4.99 to be picked up from a store and within seven days $5.50 cashback will have posted in your TopCashback account. Collection from a store, subject to the toy’s availability at the location, is free. The $5.50 should cover the cost of the toy and any sales tax you may possibly be charged, effectively making the item a very fun freebie. Within 60-90 days the $5.50 should turn payable and can be credited straight to your checking or PayPal account. IMPORTANT: Transactions must only contain a Play-Doh Plus 8-pack priced at $4.99 to ensure $5.50 cashback is credited to TopCashback accounts. If another item is purchased or additional items are purchased at the same time, the cashback amount awarded will be 7% or less (depending on the item(s) purchased) instead of $5.50.